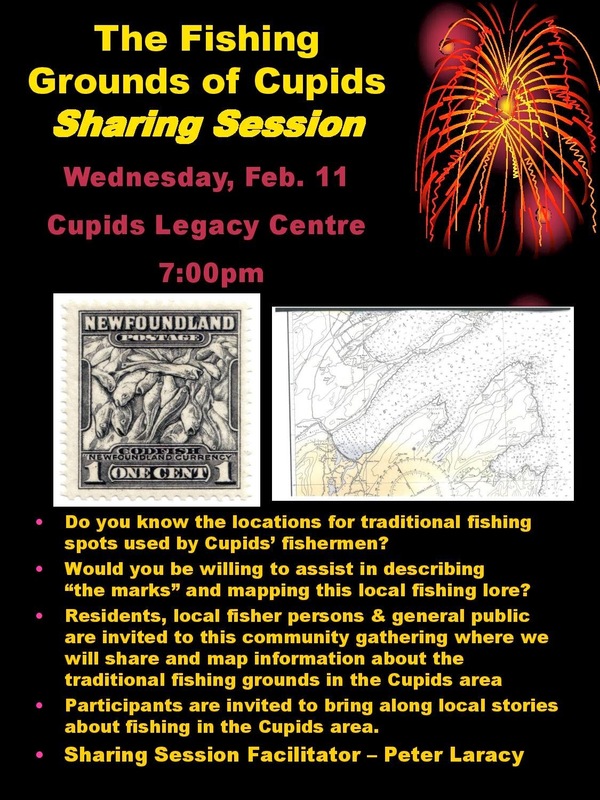 On Wednesday February 11th at 7 pm, the Cupids Legacy Centre will be hosting a sharing session on "The Fishing Grounds of Cupids". Please join us and bring along your stories and knowledge of traditional fishing in the Cupids area. We look forward to seeing you and hearing about your fishing experiences!